Is it your lifelong dream or hobby to capture memorable and magical moments from the wild? Want to know what wild animals are like in their natural habitat? These are just some of the uses of trail cameras, as they are used to capture those images within a natural setting either as still or video images. Mostly used by hunters, there are a few things you should take into consideration when purchasing a trail camera. Some of these include: the type of image you want to capture, how easy it is to retrieve the data, pricing, and performance. I have selected a few cameras that I think are the best options and hope to guide you in choosing a trail camera. This game camera offers high image quality for both daytime and night time shooting and comes equipped with the exclusive Ultra HD IRTM camera lens. As a result this camera captures images that are sharper and clearer than its competitors. With the Reconyx HyperFire HC500’s lightning fast trigger speed and recovery time, good picture quality, and durability, there is no doubt that this camera will leave you satisfied. There is also a rugged waterproof case and infrared emitters that provide night time flash for shots up to 50 feet away. The HC500 has the option of running on either 6 or 12 AA batteries enabling the camera to run continuously for up to one year, which means capturing and storing a huge amount of data. Memory cards allow you to capture full 1080p high definition images at speeds as fast as two frames per second, which is quite impressive. Night shots can be a bit blurry but the image is better than its competitors. This camera is definitely one of the best trail cameras on the market. Albeit a bit expensive, its ruggedness and waterproof case make it a very worthy investment. The camera produces quality images both during the day and at night, and this is a testament to its modern and up-to-date technology. While it is pricey, if it is within your budget I would suggest that you consider purchasing the HyperFire HC500. The Code Black is used in the field, as well as for home, land, or business surveillance. 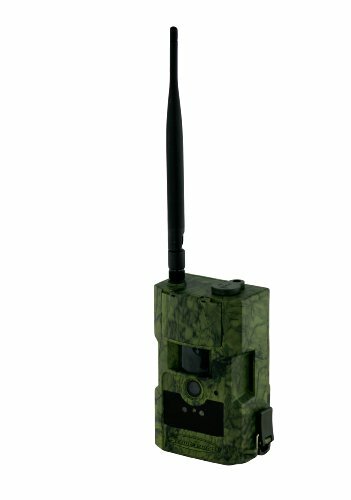 The Covert Special Ops Code Black 3G Cellular Game Camera is a sophisticated device. This camera has the ability to send photos through text or email via an activated SIM card from AT&T. This cutting edge technology allows you to view the photos and videos from the camera without ever having to go to the camera to remove the SD card. The camera works with a GSM SIM card with from AT&T or T Mobile. However, the camera is not supported by Sprint, Verizon, or any non-GSM carrier. The 60 invisible flash LEDs are undetectable and have a flash range of more than 60 feet. This product is at the top of its class for trail cameras, and its features and capabilities justify its steep price tag. The daytime pictures tend to be a bit dark as a result of shadows from the canopy. There may be times when the external antenna is not enough to boost the camera’s reception ability. The Code Black is an advanced camera and has qualities that you would expect in a top-of-the-line product. The fact that this is compatible with your cell phone makes it a convenient option that saves time and money. The camera captures really good quality photos and has a good flash range. 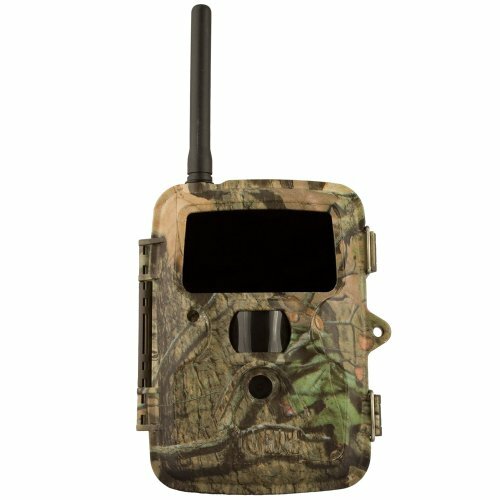 The Scoutguard SG580MB by HCO is a cellular trail camera. This remoteness of your hunting location as well as the quality of the signal on your cell phone will affect how well the camera performs and will determine if you are able to view images taken from this camera in 30 seconds or up to one minute after they are taken. This camera works with a sim card and a GSM wireless carrier and features complete invisible blackout flash that is enhanced by the high-gain antenna. This camera is revolutionary and can also be useful in a security context. The camera will enable you to alert relevant authorities immediately if necessary. This camera genuinely represents value for its price. Technology is not yet perfected. Can incur charges for data and text messages. The case is shiny, which could make it visible. Although the camera’s technology has not yet been perfected, the camera is a comparable to others in its class. The camera, with its many features, is a good value. In my opinion these are the best trail cameras available on the market. While expensive, these cameras have features that make them worth their prices, and I know that you will be satisfied with any of these products. My pick among the ones listed here, however, is the HC500. While it is expensive I really do enjoy using this camera, and I am happy with the images produced, making the camera worth the price. The Code Black is priced even less than the HC500, making it an attractive option. The Scoutguard is fairly similar in nature to the Code Black 3G in terms of its wireless capabilities. The only drawback in terms of comparison is the fact that the Scoutguard’s technology is not yet perfected. With that being said, this camera has really good features and for its price would also make it a worthy purchase.